After a lot of dawdling and changing my mind, I've changed the layout of Poires au Chocolat. My main motivation for the change was to be able to enlarge my photos. I'm quite shocked at how much better they look. I've also changed my header to a cleaner design and updated my sidebar. It feels bizarre but good - I haven't changed anything significantly since I started in March 2009. Going back through each post changing the sizes was quite a trip down memory lane. I'd love to hear what you think of the new look - do comment/tweet/email me with your opinions. The moment I saw this recipe on Baked Bree I knew I had to try it. I've never eaten much French toast in any form so it seemed like a good opportunity to try it out and find out what the fuss was about. I also can't resist anything that involves using my blow torch. I scaled down the recipe so it served two - it makes a perfect special breakfast. I served it with a few blackberries but to be honest we ate them separately. You can skip the brûlée if you don't have a blow torch or can't be bothered (though it definitely adds a certain pizzazz). I think I finally understand the fuss about French toast: this was both crispy and soft, creamy and spicy, rich and light. It has gorgeous balance. In a shallow dish whisk together the egg, milk, sugar, cinnamon, nutmeg and vanilla. Place 5g of the butter into a medium frying pan and set over a medium-high heat until the butter has melted and is beginning to foam. Dip two of the bread slices into the egg mix, making sure that the bread is fully wet on both sides, then place them into the hot pan. Cook until browned then flip over and brown the other side. Place onto a warm plate. Repeat with the other 5g of butter and 2 slices of bread. When all four slices are cooked, dust through a sieve with a teaspoon of icing sugar each. Use a blowtorch to caramelize the sugar. Lovely Emma. I love the clean look but more importantly, I love the larger photos. Such beautiful photos need to be bigger! 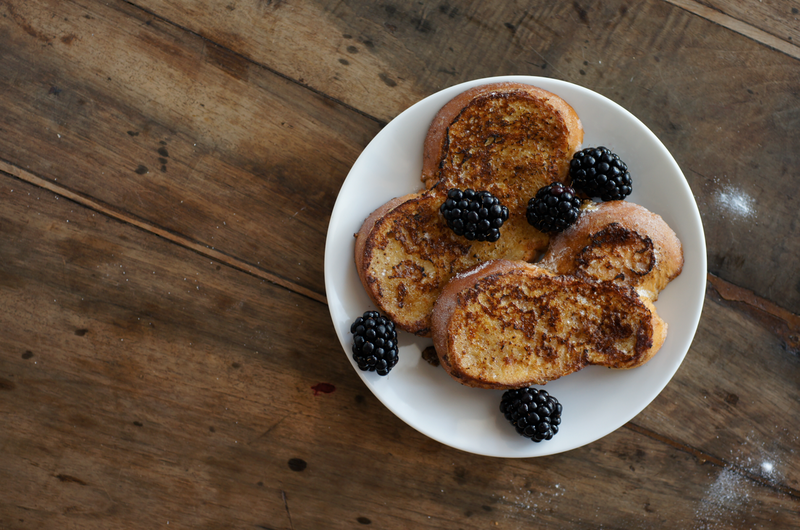 French toast looks great and I'm sure your family appreciates such decadent breakfasts! Yum!! And the blog looks great... just needs an updated photo of you, too! I love the new layout! It's crisp, clean and simple. It works. And so, apparently does blow torched french toast! It looks great, and I'll definitely have to give it a go! I always wondered at your quite narrow format so adore the new layout. The text is lovely and clear too. Your images are wonderful - I hope you don't mind me picking your brains A LOT at FBC! I think your site looks great. 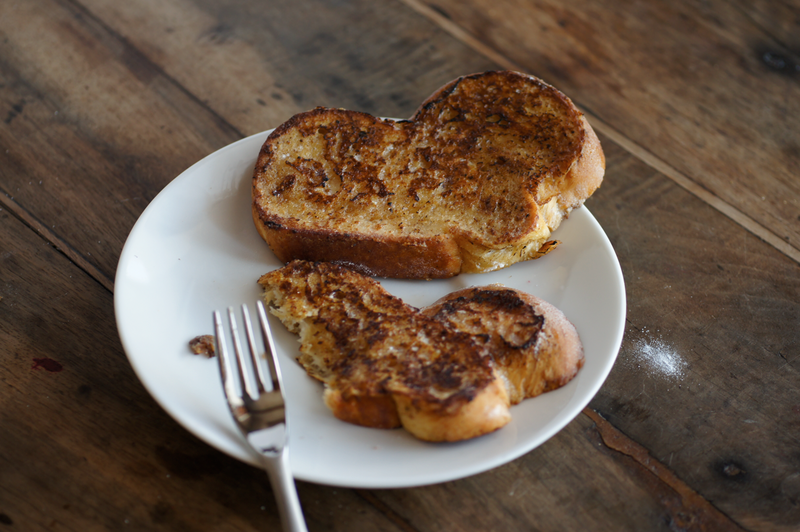 Everything is clean and pretty :) And your french toast looks amazing. I've been craving some for almost a week now. Can't wait to make some, your pictures have me craving it even more! I like the larger photos. I keep my landscape and portrait photos the same width though, helps to streamline the entire blog layout top down, not sure if you'd want to try that. Sukaina -thank you so much for your encouragement on twitter the other day, I don't know that I would have actually tried it out otherwise! It felt so weird changing it. Harriet - thanks! My About Me page is one of the next things I need to change - feels a bit odd at the moment as I'm in between things so don't quite know how to describe myself! girlleastlikely - thanks, I'm glad you like it. I was going for clean and crisp - I'm not a big fan of fussy. Do give the toast a go, it's great fun. Heidi - thanks - I like clean and pretty :) Hope you can fulfill the craving soon! I agree! The pictures are lovely, that much bigger and make serious cravings! The new blog layout looks lovely - much better to see your gorgeous photos in a bigger format! And this recipe sounds delicious. I've always thought french toast was a little bit pedestrian but you've taken it to another level! thelittleloaf - thank you! I can't claim credit at all for the another-level-french-toast, but it's definitely a good idea. Lovely clean design, I think it really highlights your writing and beautiful photos. I hope you enjoy the new look, I know sometimes it can be hard to makes changes. 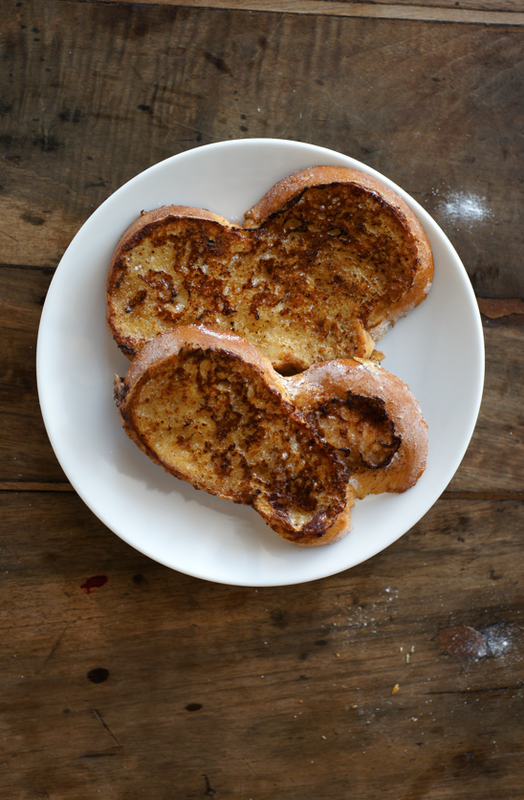 One of my favorite recipes on my blog is my french toast recipe and since I have been making it has been hard to deviate but this looks wonderful!! I get my bread from a local company and they make amazing challah! 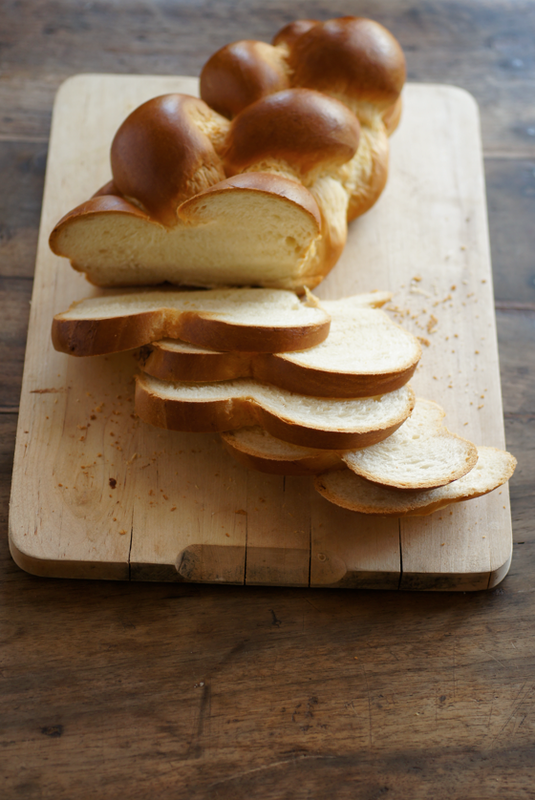 Have you tried brioche with it, that would be great too! Oooooooh yeah!!! This is my kind of breakfast! I love the way the blog looks! Crisp and beautiful! Courtney - it's difficult to deviate when something is great! You could just try the brulee on your recipe. The bread I use is tresse au beurre, which is like brioche. Jolene - Hehe glad you like it! It's an awesome breakfast - or lunch or tea or dinner or pudding!